Rigs Fail… Are You Ready? Question: What do I do if my rig fails? Most important, BE PREPARED. Have tools and spare parts on board and know how to use them. At a minimum, you should have tools to cut your rig loose and to make minor repairs. The attached Rigging Damage Control & Spares Checklist contains a comprehensive list of items that you might want to have on board. For pleasure sailors enjoying San Diego Harbor, this list may be overkill, but it is a good place to start. If you need supplies or have questions regarding the list, you are always welcome to call us at Rigworks. Rigs fail in many ways and for many reasons. Here are some common scenarios and possible responses. Ensure that your crew is safe. If you are not wearing safety gear, put it on! 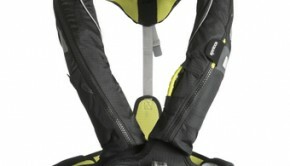 We love our Spinlock Deckvests, harnesses, MOB1s, PLB1s, EPIRBs, etc. because they are lightweight, easy to use and may save our lives. Quickly decide whether the mast can be safely secured to the boat or needs to be cut loose. If you are in rough conditions, and the mast is likely to sink the boat, don’t hesitate. Cut it loose. If you can safely save the mast, secure it tightly to the deck. 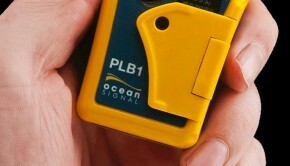 Pad any contact points to minimize damage to your boat and rig. Collect all the halyards, shrouds, etc. and either tie them down or cut them free. If a stay, shroud or spreader fails, but your mast is still standing, you may be able to use a halyard, topping lift or spare line to support your rig. The following suggestions may buy you a little time while you secure the line and transfer the load. Unless you have a strong inner forestay, you probably don’t have much time here. Warn your crew that the mast is probably coming down. Work quickly to reduce tension on the rig by sailing downwind. If the forestay failed at the base, can it be reconnected or reinforced while a secondary line is run? 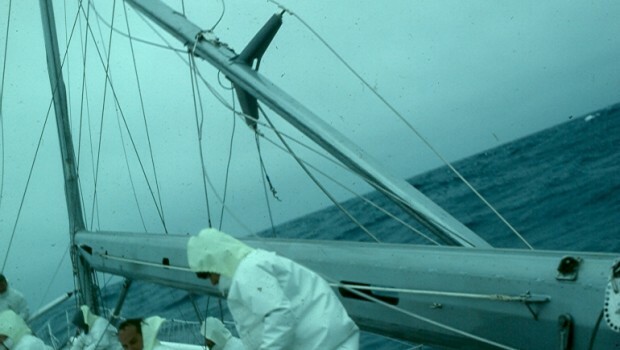 If conditions warrant, head upwind to reduce the load on the backstay. If you have running backs, tighten them up and reef the main below the point where the running backs connect to the mast. Shrouds and spreaders usually fail on the windward side. Quickly ease the load on your sails and tack the boat so that the failed components are to leeward.